It seems like every year around this time I realize I need to invest in new cowboy boots. Yes I live in Texas & that seems to be formal wear here, but in all honesty I pretty much only wear them to work. I work in a place that is surrounded by cars & tools, so they kindly ask us to wear some type of boot for safety. For me it's perfect. They look great with jeans & a cute top, plus they are super comfy to wear all day long. Downside is that they don't last more than a year due to wearing them 10 hr days 5 days a week! So I am officially on the hunt for a new pair... here are my favs. 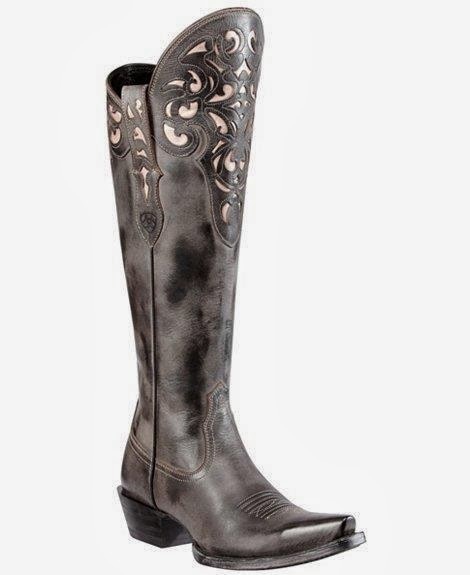 OMG I am in love with these darn boots. I love the light blue stitching and of course I have to have snip toe. I've heard Ariats are extremely comfortable, so these would be awesome in my collection! Old West are the boots I own now. They're definitely more affordable & are very comfy. 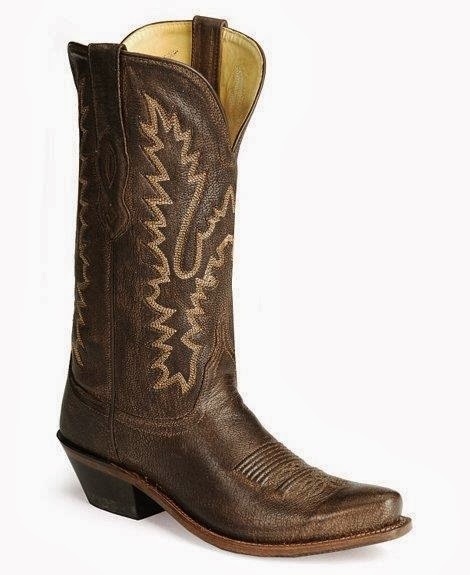 I love the distressed look of these & the darker color of brown. The ones I have now are a tan color and you can see every thing that gets on them. Especially when it rains! 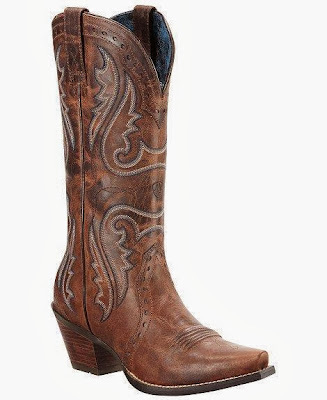 Okay these are amazing boots. Hello skinny jeans! I love the stitching and length! Adorable!